Almost every cloud provider as of now, including the main giants such as AWS and Microsoft Azure, depend on third-party processors and chips to power their cloud computing environment. Amazon is trying to change it though, with its recent announcement that they are going to begin their chips, which will empower their in-house platform Amazon Web Services. The chips are known as Graviton and are built using the same technology which powers smartphones as well as tablets aka ARM. This is entirely new for the cloud computing industry since something like this has never been tested. This will help the company's already robust and well-established cloud service to integrate its software with its hardware, thereby allowing them to provide services at an even cheaper rate. That’s not possible with off-the-shelf chips from Intel or AMD, which are designed to satisfy many different customers, says Matt Garman, a vice president involved with Amazon’s project. “We can do some very specific things that make sure the processor runs very efficiently in our environment,” he says. “That leads to lower costs,” Garman says customers with early access to Graviton-powered servers cut their bills for some services almost in half. The tech giant is known all over the world for their online shopping service, but it is the cloud computing platform which garners them most of the profit. Customers can now hire servers which are based on the cheaper Graviton chips. These chips were recently revealed in their Annual re: invent cloud computing conference in Las Vegas. According to Matt Garman, who spoke to a reporter from wired.com, some customers have reported up to 45 percent cost saving when using these new graviton chips opposed to the existing AMD and Intel variants which are used to perform various tasks according to customer needs. It also says that Amazon has already started using Graviton chips for their e-commerce website servers too. When asked if the company plans to further invest in the development of second generation Graviton chips, Garman responds cautiously. “I anticipate that we probably will,” he says. Patrick Moorhead, a principal analyst at Moor Insights and Strategy, says the company’s project could finally make ARM servers mainstream. 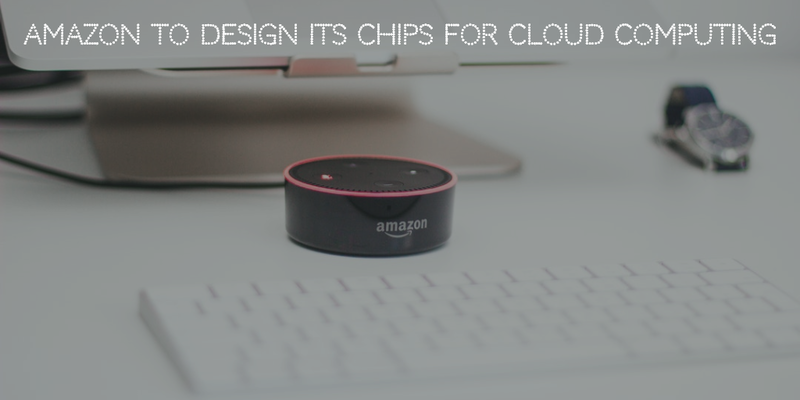 Although Amazon is not the first company, who have followed the course of developing their chipsets to fit their computing needs, Google has already worked on two generations of their chips and is currently on the third iteration, which helps the firm provide machine learning algorithms. Apple has also worked on custom chips since 2010 which are responsible for powering iPhones. I am an Engineering Student with a keen interest in Blockchain, Cloud Computing, AI, ML and related startups. I am currently working with Techsutram as a Writer/Intern.